Thanks, I love your comparisons. item from Canada, I would be so grateful. I would also be happy to pay you for your time. I love Limitless Blue and I'm glad poseidon is like it. I'm tempted by the heathered poseidon CRB, but I bought the recently released Navy CRB. 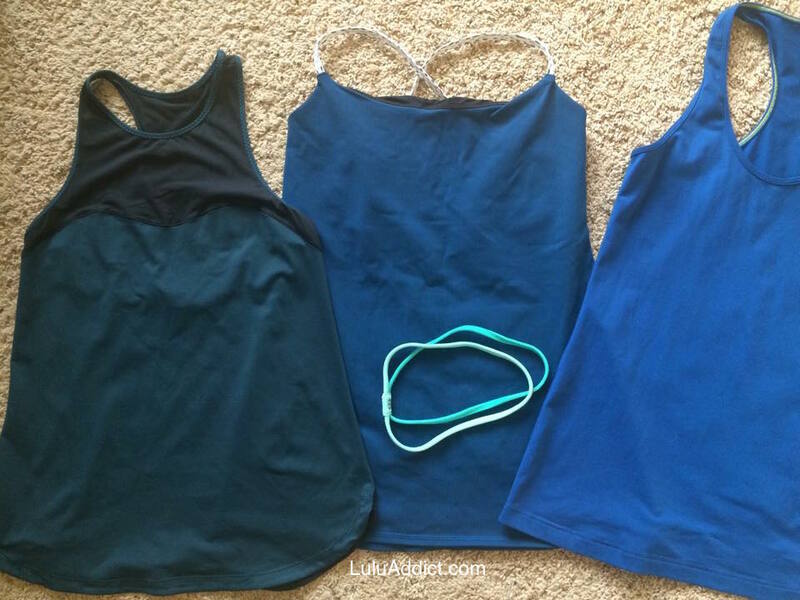 But one can never have too many blue and green tops yes? Yes. 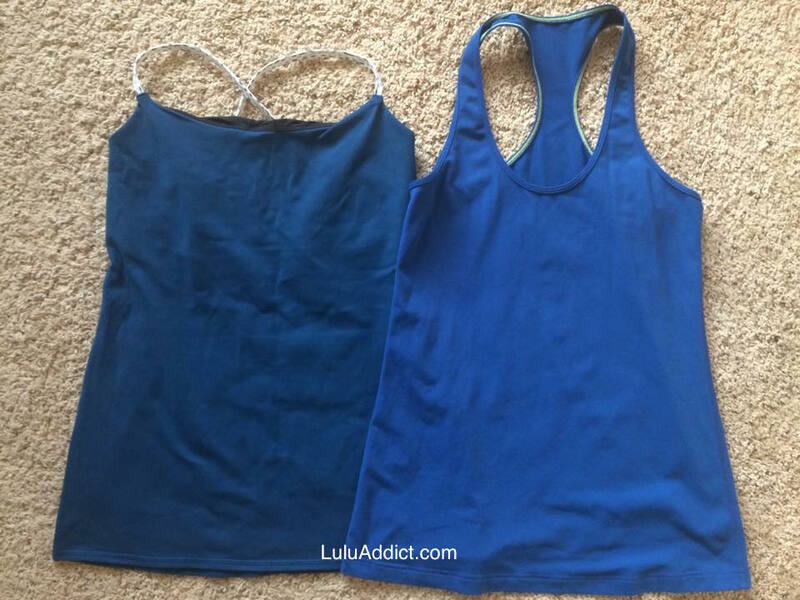 Thanks for the comparison photos! They are, as usual, super useful. @Jane - the Poseidon and Limitless Blue-type shades don't come along that often. 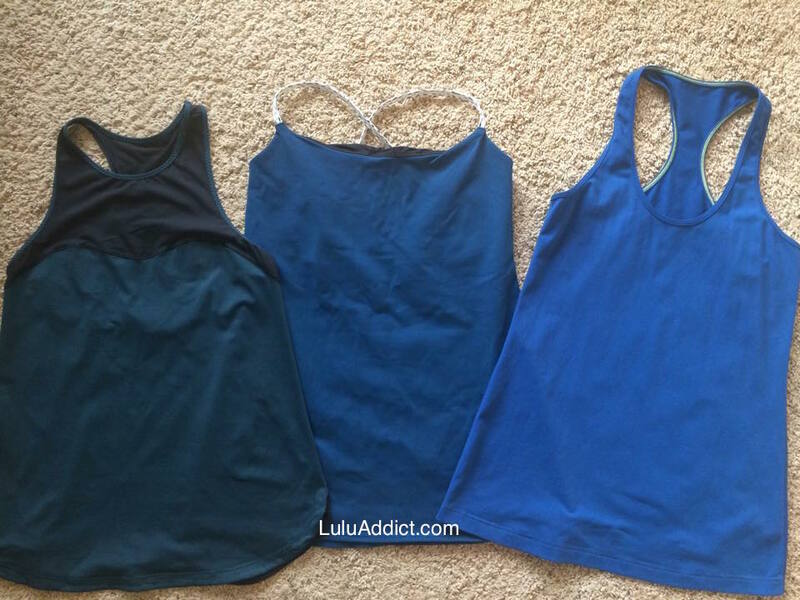 Lululemon tends to put out a lot more in the Blue Tropics-type range but these darker ones are much rarer so I tend to buy them when they come out. my poseidon dancing warrior tank is lovely, I have been wearing it casually quite a bit. it goes well with white pants and perry top siders. this one will be a summer staple for sure.